Date: Jan 24 2019, 10 a.m. - 12 p.m. The best way to achieve your goals is to always keep them in mind! This is so you’re always looking for ways to move yourself closer to them – and a vision board is the perfect tool to help you do that! 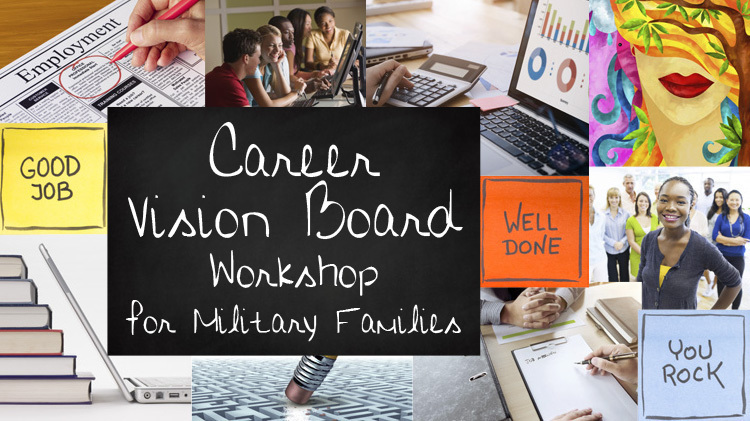 ACS is hosting a Career Vision Board Workshop to help military spouses better understand their career goals and dreams through building a collage of words and pictures. Registration is required because space is limited. Please register by January 18th.